Volkswagen E-UP Makes Electrifying Eco Entry! 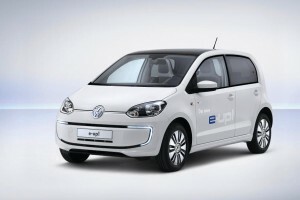 Most car makers are clamouring to get buyers’ attention with increasingly economical cars and now the Volkswagen e-up! is going to attract interest. The new all-electric Volkswagen e-up! This is the first all-electric vehicle that VW have produced and, as you would expect, they’ve got it right first time. This four-seat car, which operates with nearly zero noise, has a driving range of 150km and excellent everyday practicality. The Volkswagen e-up! is essentially a pioneering vehicle concept with an electric drive which is ideal for daily use in the city − but it’s also ideal for commuters or as an innovative second car. VW say the car can be recharged to 80% of its energy storage capacity within 30 minutes. The Volkswagen e-up! is powered by an electric motor with 60 kW / 82 PS peak power – without any disturbing gearshift interruptions or engine noise. Its continuous power is 40 kW / 55 PS. More importantly the Volkswagen e-up! will accelerate from 0 to 62mph in 14 seconds and reaches a top speed of 85mph. The vehicle’s lithium-ion battery integrated in the underfloor area has a total energy storage capacity of 18.7 Kilowatt-hours (kWh) which means the car can cover up to 93 miles on a single charge thanks to its low vehicle weight of 1,185kg. Like most cars the Volkswagen e-up! has a fuel filling cap but this one is the cover for the battery charging port. The all-electric version much very similar to other up! cars except for the curved layout of the LED daytime running lights in the front bumper. In addition, the front end, sills and underbody have been aerodynamically optimised. The Volkswagen e-up! can be recognised at first glance by its machine-polished 15-inch alloy wheels, VW emblems with blue backgrounds and an e-up! logo at the rear. The car will make its official debut at Frankfurt’s International Autoshow in the autumn, after which buyers can order one with deliveries taking place from early 2014. This entry was posted in Car Updates & Releases, Electric Cars, Low Emissions Cars, Small Car and tagged alloy wheels, car, e-up!, electric motor, International Autoshow, LED, LS, MoT, PS, seat, speed, UP!, Volkswagen, Volkswagen e-up!, VW by Steve Lumley. Bookmark the permalink.